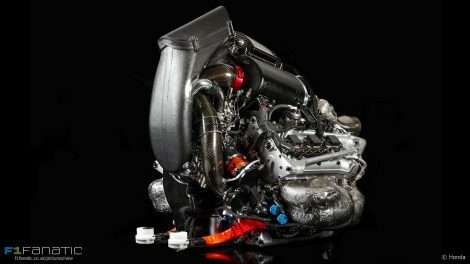 FIA president Jean Todt says he is happy with how F1 engines sound at the moment but is willing to increase the noise in response to public opinion. ?If you ask me, I don?t need the noise,? Todt told a media briefing at the Abu Dhabi Grand Prix last year. ?I?m quite happy with that. I don?t think we don?t need noise, but I?m quite happy with the noise we have now.? What F1 spectators say about the engine noise debate?The only problem is that it seems there are a lot of complaints about the noise. I?m sure, if you are here with 20, 25 people, we will have different opinions about the noise. So, if we can please people by giving more noise, I?m not against that at all, so we simply need to see how to give more noise.? Changes to the engine formula for 2021 are under discussion. Todt admitted there are other shortcomings to the current formula which need to be addressed but doesn?t expect the next engine formula to be radically different. ?We are talking, it has started already months ago, with actual engine manufacturers, with potential engine suppliers, with the commercial rights holder, what should be a good engine.? ?If you ask me what I feel about the actual engine, it has been one interesting exercise. I think it?s too complicated, I think it?s too expensive, but it?s probably a very good first step to go to a next generation of engine, which will be? an evolution of what we have now.? ?I am against starting on a completely new development of engine, but I think we should take the upmost from what we have understood from this engine and allow the actual manufacturers who have been investing heavily to be able to enjoy what they have been investing for the next generation of engine, and also encouraging newcomers to come.? Read Dieter Rencken?s new column later today on F1 Fanatic. Follow us on Twitter and Facebook for updates.